I would like to share a little story that started about 8 months ago. 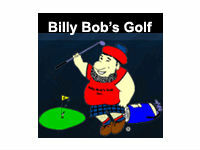 I was asked to fit an LPGA player who was languishing in the high 70s on the LPGA OOM. It was July and her mom had sought me to do a fitting session for Moriya. We made some changes particularly to weight change (heavier) on woods, increasing the flex (stronger), shortening and strengthening flex on the hybrids and changing the flex on the irons. The new clubs debuted at the International Cup and at the end of the season, Moriya has progress to 54 spot and kept her tour card for 2015. The second fitting for her younger sister (but stronger) happened a day after she got back to Thailand from Q-school in Florida. 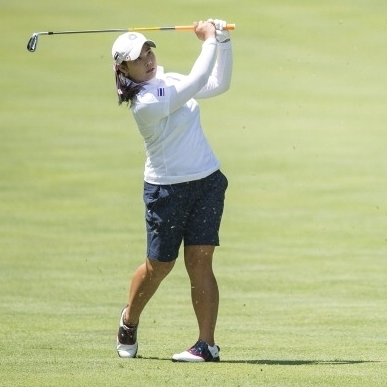 Ariya finished top 3 at Q-school and had clinched a full tour card for LPGA 2015 season. The notable changes were irons - we moved her from the regular KBS to a hybrid graphite (120g to 108g), we changed her driver from a Diamana W (High-kick) to a B (Mid-kick) 60 X but the biggest question was what do we do with her 3 wood. Her coach and friends told her that the 73 White Board X flex was too much for her, she wanted an opinion. So we got her to hit 3 shots on trackman and the nos were pretty good. In fact she registered the same club head speed with better efficiency on her 43 inch 3 wood as her 44 inch driver. Then i asked her to hit 6 random shots where she needs to work the ball. She just needed to tell me what shots she was making before execution. High fade, low draw, straight, stinger....away she went. I did not bother with launch monitor stats as they were irrelevant. All i wanted to see was here movement, her control and her confidence. I asked her if she liked the ball flight and feel and it was a positive YES. i concluded that she should keep that shaft in her 3 wood and do not let anyone talk her about changing them. We did built a similar specs for her as a back up because she uses that more than her driver when the fairways are tight. 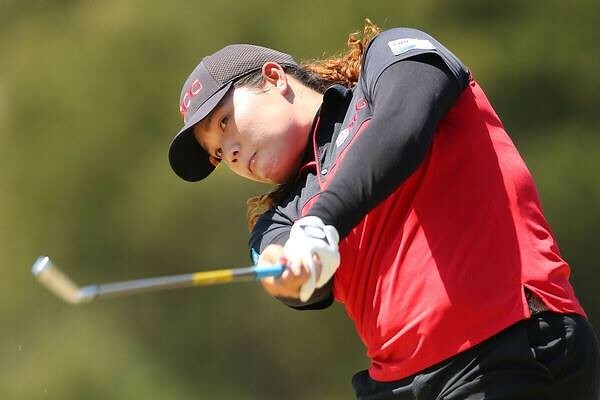 So fast forward Feb 2015 - Ariya had an almost top 10 finish at Coates Championship in late January, T2 at the Pure Silk Bahamas Open in early Feb and last week she finished 3 at the Asutralian Open. We believe she will win this year and it looks like it will be soon. Here are some photos of Ariya and Moriya. Moriya at the International Club. Ariya at the Australian Open where she finished 3rd. My take on fitting elite players has always been trying to understand their tolerance and preference for weight, flex and ball flight I spent a lot of time talking to them and also viewing videos of their performance. it is also important for me to understand their physical condition and personality and from these i try and imagine a tempo which I think the player likes or perform in both controlled or competitive environment. Recently I saw a video of Ariya and i am glad we made the choice to get her to stick to her 3 wood. Thank you for your time reading this and i hope we can all share our experience to become better fitters. 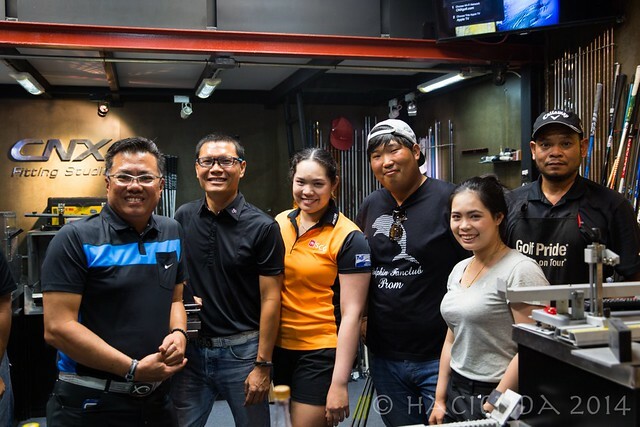 Note: Eric Ng is the owner of Big Fish Golf in Singapore and is the ICG 2015 Worldwide Clubmaker of the Year (COY). We are not your grandfather's clubmaking/fitting organization. Come and join us and talk with some of the best. 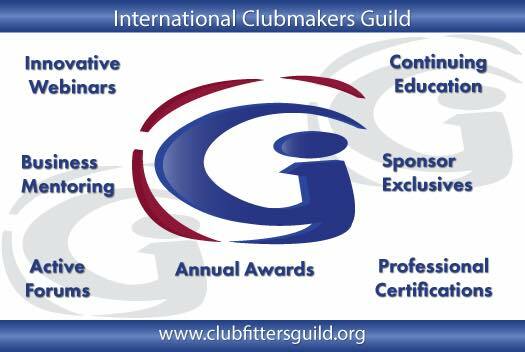 Become ICG certified and enter one of our two COY competitions (Clubmaker and Clubfitter) this year. Put yourself and your business on the map.